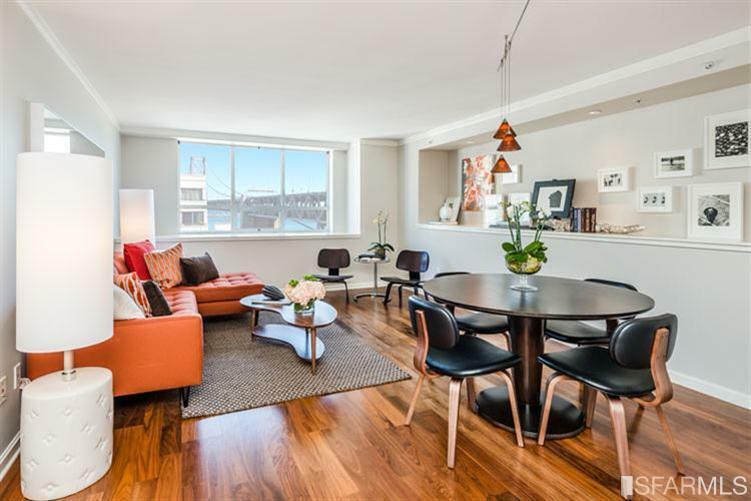 A coveted South Beach home that exudes warmth and comfort. 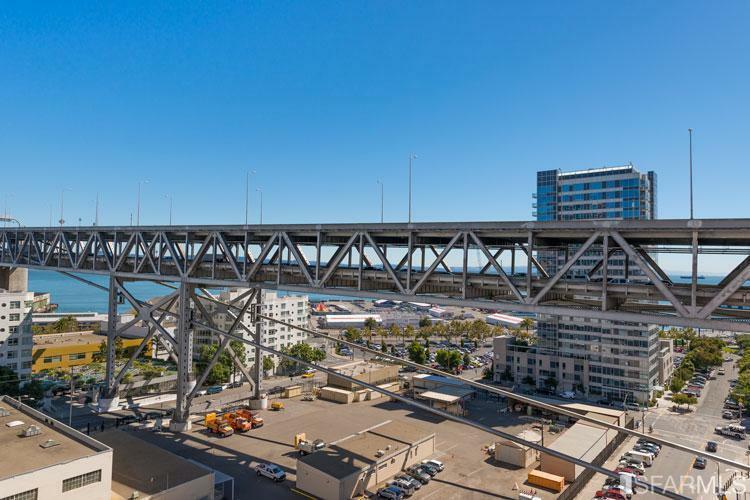 Let the view from all the windows be a picture frame of the bridge and water. 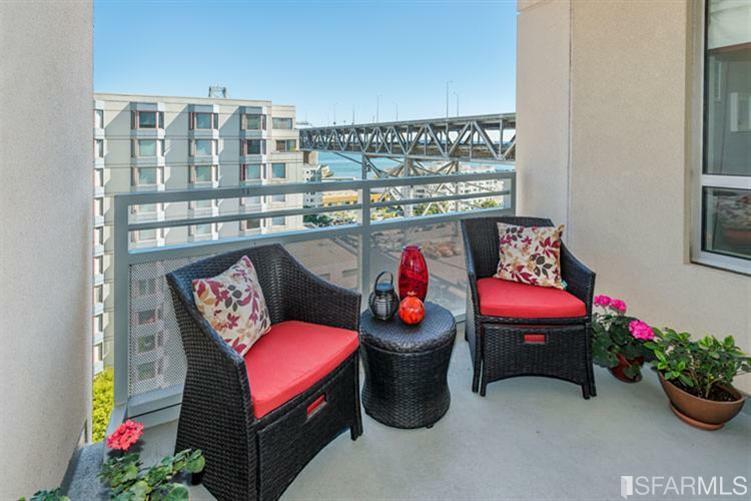 This stylish 2 bedroom, 2 bath condo has direct Bay Bridge views from every room. Great open floor plan with lots of natural light. Located at the top floor of the lower building. 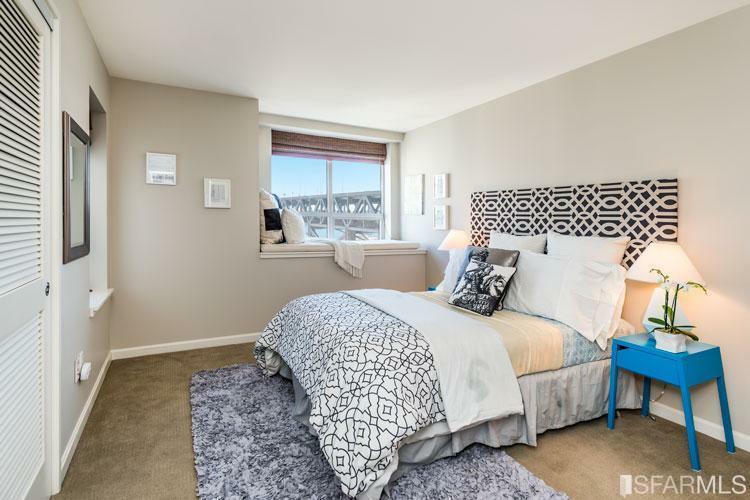 Very spacious master bedroom that has walk-in closet and huge en-suite master bath. The Master suite opens up to a private view balcony. A generous size deeded parking spot that has no cars near it. Chef’s kitchen with granite counter tops and breakfast bar. Assigned storage. Full Service Building includes 24 hour security, concierge, on-site management, gym, outside pool & spa and a common BBQ & sun deck area.